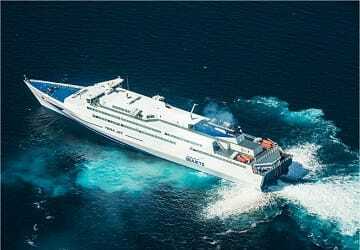 The Heraklion Ios ferry route connects Crete with Cyclades Islands and is currently operated by 2 ferry companies. The Minoan Lines service runs up to 1 times per week with a sailing duration of around 2 hours 45 minutes while the Sea Jets service runs up to 7 times per week with a duration from 3 hr 25 min. 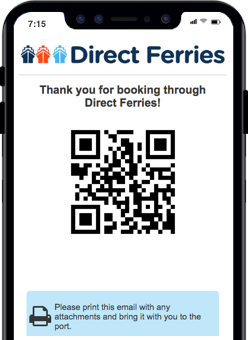 So that’s a combined 8 sailings on offer per week on the Heraklion Ios route between Crete and Cyclades Islands. Compare now and get the best fare at the time that you want to travel. Prices shown represent the average one way price paid by our customers. The most common booking on the Heraklion Ios route is a car and 2 passengers. The Greek city of Heraklion is the capital and largest city on the island of Crete. A popular visitor attraction near the city is Knossos, which is around 5 km from Heraklion. This important archaeological site was the Palace of King Minos and home to the Minotaur, if legend is to be believed. The palace was built over the remains of a former Neolithic settlement in around 1900 BC. An important attraction in the city itself is the Archaeological Museum which can be found on one corner of the central Eleftherias Square, in a converted power station. The museum collects and displays many artefacts from Knossos, Archanes, Phaestos, Zakros and many other important archaeological sites on the island. The museum's collection spans several thousand years and includes the Phaestos disc, classic Hellenic and Roman sculptures, frescos, jewellery, wall paintings and pottery. 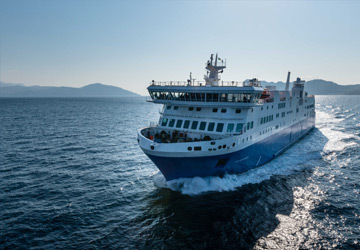 Visitors to Heraklion can take a ferry from the port, which is important for both passenger services and cargo, to destinations including Santorini, Ios, Paros, Mykonos and Rhodes. 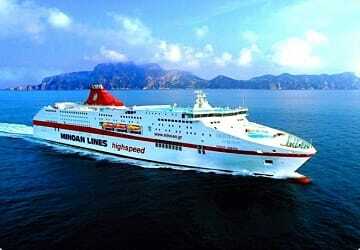 There are also daily sailings to the mainland port of Piraeus. The Greek island of Ios is part of the Cyclades group of islands and lies in the Aegean Sea between the islands of Santorini and Naxos. The island has a popular night economy, lovely beaches and a number of historical monuments which are popular with visitors. The island has been popular with tourists from around the world for many years and is definitely one of the most popular of the Cyclades islands. Chora is a typical Greek village on the island with traditional whitewashed buildings, winding streets and many colourful flowers. However, at night the sleepy village comes alive with many places to socialise. Around the island there are many beaches with soft white sand just waiting to be explored, all of which are blessed with crystal clear waters. Perhaps the island's most popular beach is Mylopotas which is lined with bars, restaurants and places to hire water sport related equipment, and is over 1 km long. However, if you require a more secluded beach experience then Valmas or Kolitsani beaches are a good choice.